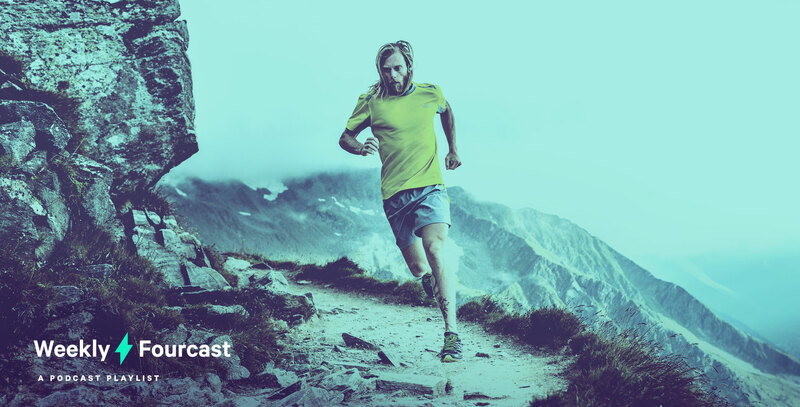 For this Weekly Forecast, we caught up with Jaybird athlete Timothy Olson, a mountain ultra-runner and mindfulness practitioner from Colorado. Timothy is a two-time Western States 100 winner, and the founder of Run Mindful, a family business that holds annual retreats integrating running, healthy living and mindfulness. This episode was very entertaining and features two people’s personalities I really enjoy, talking about subjects I find particularly intriguing. I enjoy deep breathing and I practice meditation and the “Wim Hof method” daily, so it was fun to hear Russell Brand’s take on it. I listen to Tara’s podcast for the meditations but also really enjoy her talks, too. In the mindfulness space her sense of humor is refreshing and leaves you with wisdom as well as a big smile. The sacred pause may be an enriching addition to anyone’s life—just stopping to breath and align with your innate intelligence. I’d recommend any of her talks or meditations. I love listening to Billy’s podcast and appreciate his insightful questions. In this episode you get an in-depth look at the life and career of Topher Gaylord, a businessman I really respect. Fun to here his story of how he got into the sport of ultra-running and where it has led him. Ben Greenfield is the human guinea pig and I really appreciate how deep he goes into the research. I’ve learned a lot on diet and nutrition from him and feel like each episode is full of applicable tips. Todd, the CEO and owner of Dry Farm Wines gives you a day in the life of his business. I feel like he has a great business model and their talk inspired me on how I like to run our business, Run Mindful. Tarah Pro–they go the long haul. I use them all day, every day, listening to music or a podcast while I work or go for run, taking business calls or letting my family know when I’ll be back home. They are comfortable, full of juice (battery life) and always ready for an adventure.